Kipandi Butterfly park is a privately run little park located in the cool green mountains of the Crocker range. 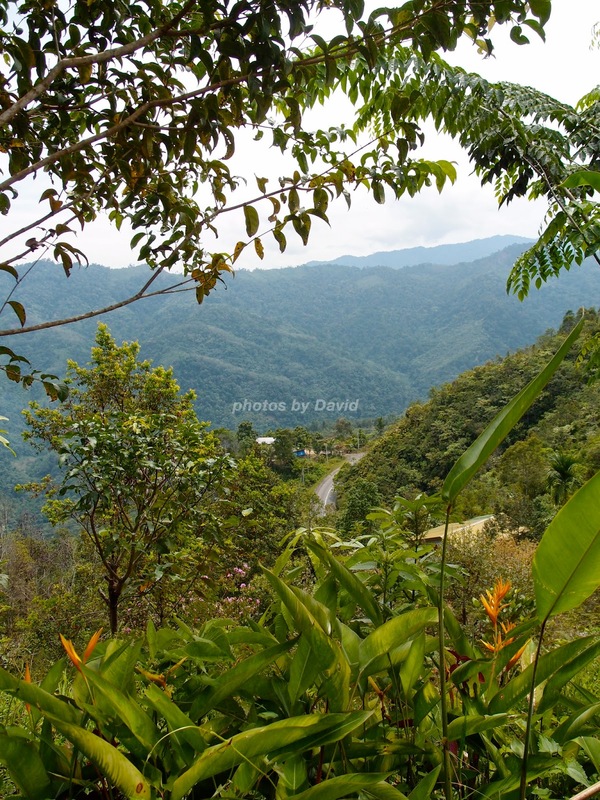 It is just 36km from the City along the Penampang -Tambunan road. Just after Moyog village, look out for the sign on the left of the road which says 700M to Kipandi and as the road turns a corner, you will see the entrance on the right hand side of the road. Crocker Range so far. The insect collection includes Stag, Longhorn, Flower and Rhinoceros beetles together with Leaf and stick insects plus many more creepy crawlies. The butterfly collection is equally interesting with an actual specimen of a Queen Alexandra which is the largest Butterfly in the world found only Papua New Guinea and also the largest butterfly for Borneo. Leaving the insectarium, one enters the enclosed butterfly garden. This garden has been planted with host plants for the butterflies to feed on and to lay their eggs and as such it is filled with colorful flowers. It is a bit easier to photograph the butterflies in here but it is still quite a challenge. A Captive breeding program for endangered butterflies which are endemic to Sabah is being carried out here jointly with the wildlife department of Sabah. Since its inception more than 15 species of butterflies have been successfully bred and released into the surrounding forest. Largest butterfly in the world. Rare blue orchid - Cleisocentron Merrillianum. and 6 species of Lipstick flowers ( Aeschynanthus ) are grown within the enclosures. To many people an orchid is a big bright showy flower, however most native species of orchids are just the opposite. Many of them are small and can be not very colorful; some of them are so tiny that a magnifying glass is needed to appreciate their details. However they are all beautiful and unique in their own way. Many of them mimic insects, some have moveable parts with vividly colored lines to attract insects to come and pollinate. Others attract their pollinators by giving off either a sweet fragrance or the smell of rotting meat depending on which insect is their pollinator and so ensuring the survival of the species. There are a number of very rare orchids here and my favorite has to be the Little Blue orchid that is found only in the mountains of Sabah. The park has one of the best, if not the best collection of Hoyas in Sabah. Hoyas are a kind of forest creeper usually found high in the rain forest canopy. Their umbels of thick waxy flowers are as strange as they are beautiful. It is also a good place to see the “insect eating” pitcher plants as a number of them have been planted here. If you’re really interested in live insects, then arrangements can be made to visit at night for the insect show. A special white sheet illuminated with bright electric lights has been set up and when these lights are switched on, it draws hundreds of insects, bugs and moths from the surrounding dark forest. There are specially trained guides at the park and it’s a great way to spend half a day or so, learning about nature and enjoying the fresh clean mountain air.